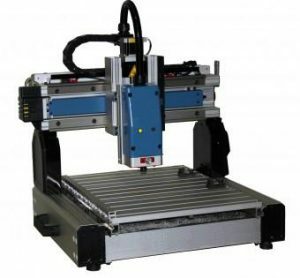 3 Axis table top machine easily to do cutting, engraving, routing and etching for signs, sample or small production at the material such as wood, plastic, acrylic, plexi-glass, corian…. User friendly iPicture software transfers the images, picture file to 3D cutting program with in a second at superior performance. Optional CAD/CAM system can create and edit part programs then send to machine for cutting. DXF files can be imported, modified and edited from here to create a G code too.